Blue John Stone is a rare, semiprecious mineral found at only one location in the world - a hillside near Mam Tor, just outside Castleton, in the Derbyshire Peak District National Park, England. The name Blue John derives from the French Bleu Jaune meaning Blue Yellow. 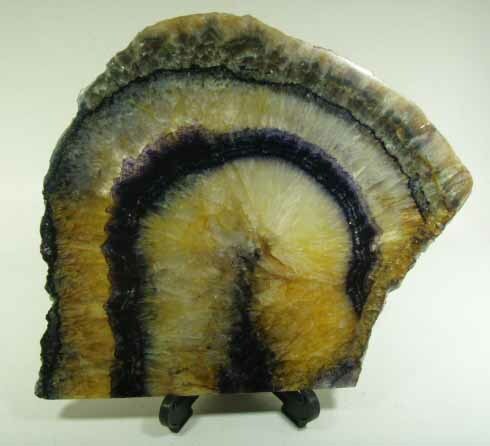 Blue John is a form of fluorite and was discovered as miners were exploring the cave systems of Castleton for lead.